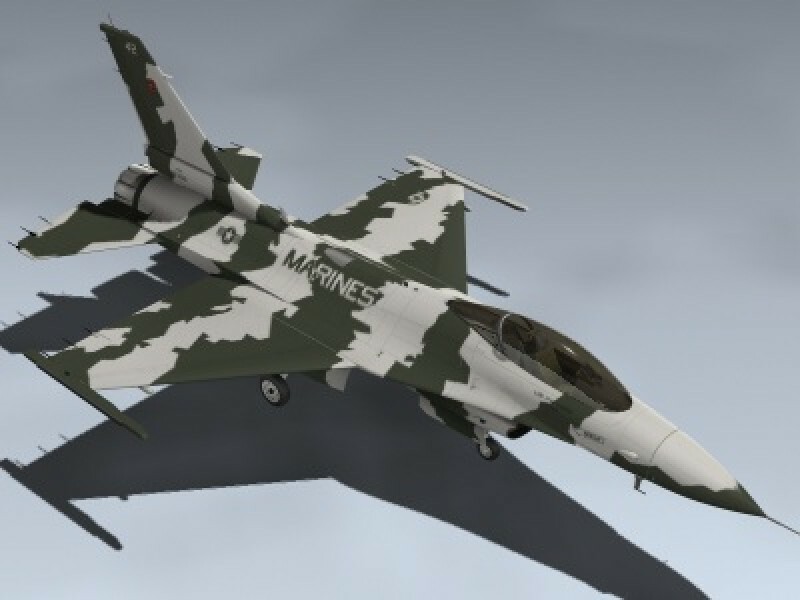 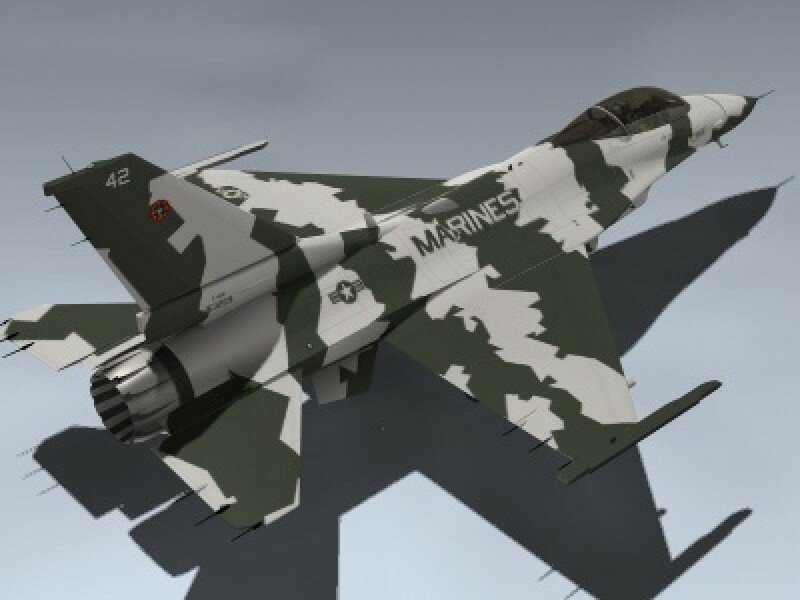 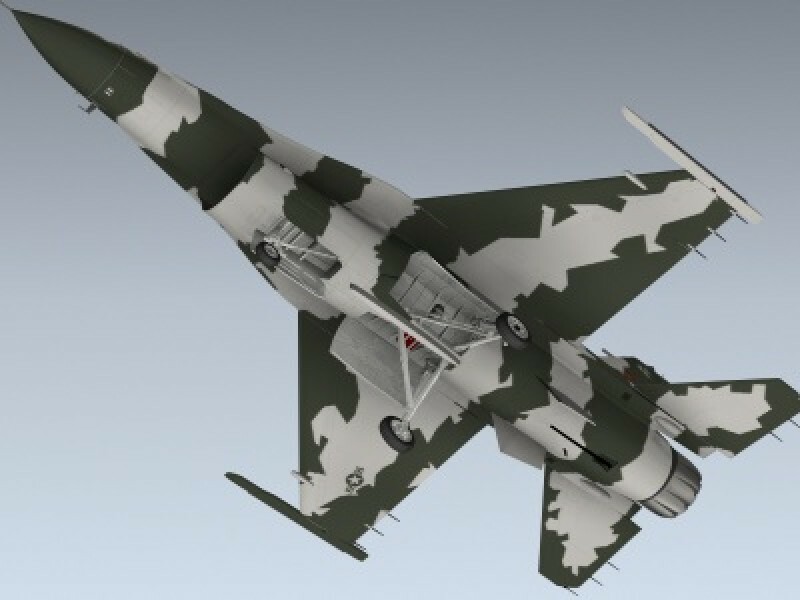 Very detailed US Marines F-16N aggressor. 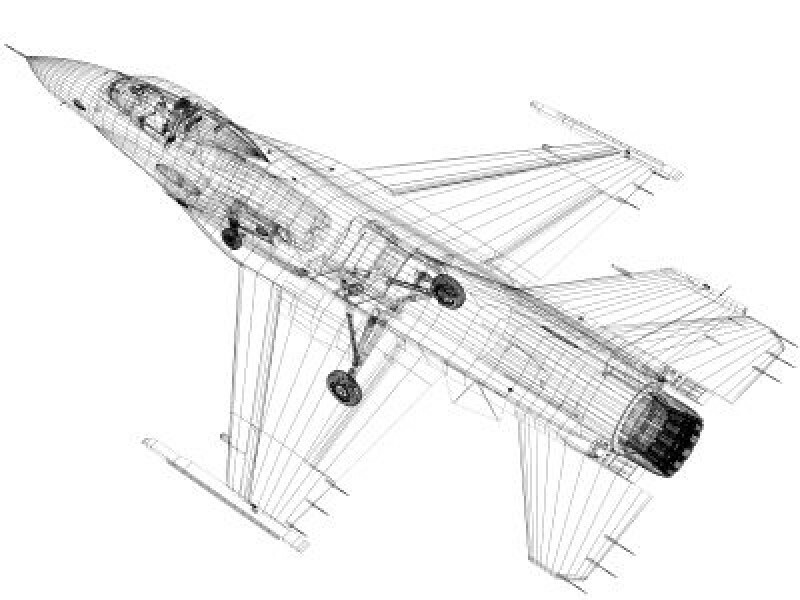 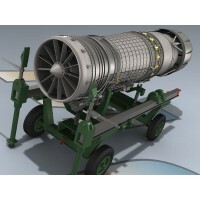 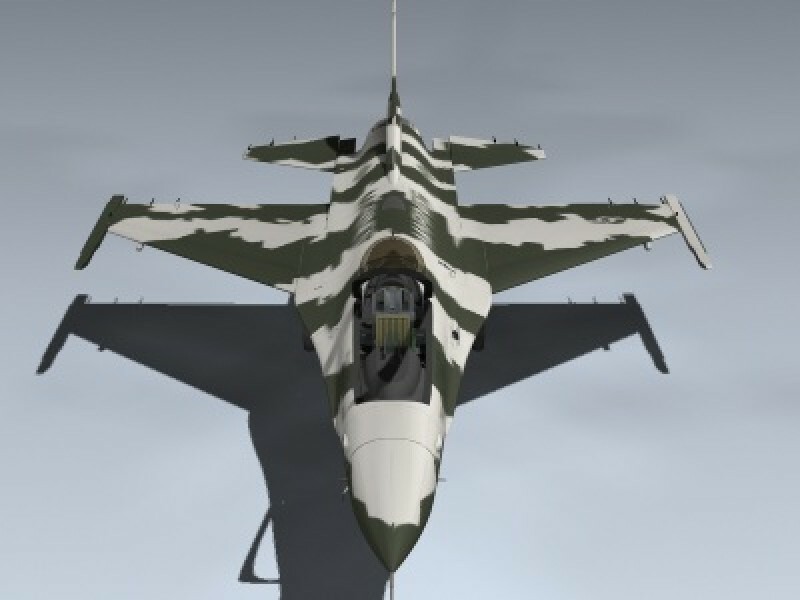 Includes separate detailed speedbrakes, canopy, ejection seat, exhaust petals and flight control surfaces. 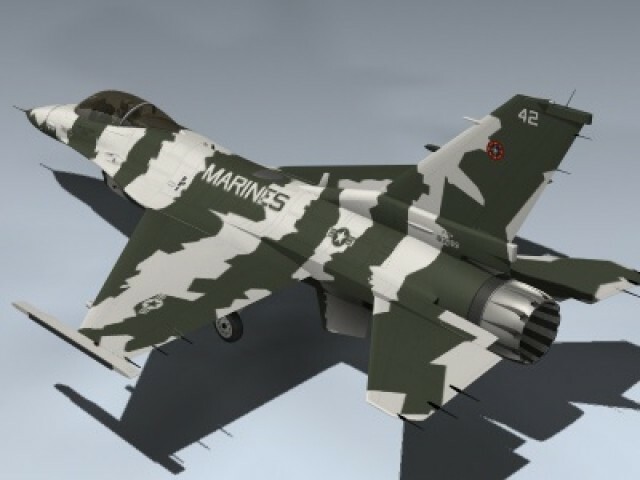 Features high resolution texture maps for close-up rendering.